Access to Employment Ontario Programs: Ask us about government funding availability and how to access the Second Career Program which provides laid-off workers with skills training for high-demand occupations. Your Employment Consultant can help you assess your eligibility, suitability and financial needs to apply to this program. The Ontario Self-Employment Benefit provides unemployed people who are or have recently been eligible for Employment Insurance with income and entrepreneurial support while they develop and start their business. Access to Ontario Job Creation Program that provides work experience to unemployed job seekers within projects that benefit the community or local economy. At the end of their participation, participants in the program will have recent work experience and additional skills to add to their résumés, increasing their chances of successfully finding long-term employment. Want to work in the skilled trades? Employment Ontario has services right across Ontario that can help you become an apprentice. Find apprenticeship opportunities matched to your goals and access apprenticeship scholarship to achieve your training goals. We know many people with disabilities can work and want to work. 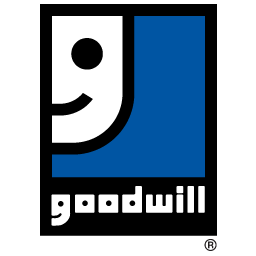 Goodwill’s Employment & Training Services can help through referrals from Ontario Disability Support Program Employment Supports. Support services can help you: prepare for work and find a job; and/or start up your own business. We can help even if you have never worked before, have been out of work for some time, or are in school. Once you start working, you can also get assistance to keep your job or to advance your career. If an adult with a developmental disability wants to become more involved in their community, their Developmental Services Ontario agency can help by putting them in touch with community participation supports. Please call 519-337-5770 for more information.